Dr Donald Ng. 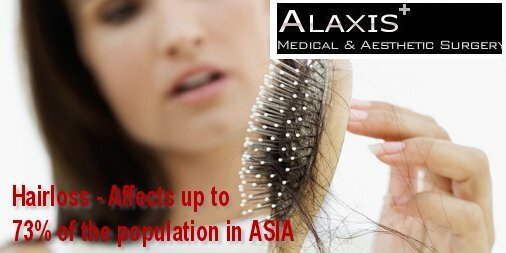 of Alaxis Medical and Aesthetic Surgery Singapore explains hair loss and the treatment FUE (Follicular Unit Extraction) offered at his Aesthetics Clinic in Singapore. The occurrence of a hair loss, whether progressive or brutal, is often a source of panic in women but also, to a lesser extent, in men. If hair loss usually occurs in men, this condition can also affect some women and become a real aesthetic handicap. The purpose of this article is to describe the different types of hair loss and their characteristics and to explain hair transplant using FUE. Androgenic alopecia affects 80% of women with hair loss problems. Women produce androgens that accelerate the life cycle of certain hair: abnormal acceleration can lead to overproduction, forcing the hair follicle to produce finer and shorter hair. The term follicles only produce a light down, then nothing at all. Aggravating factors of hair loss include stress, contraceptives and hormone replacement therapy, seasonal factors and excess bad cholesterol. Temporary and diffuse falls are non-localized falls, limited in time (no more than 3 months), sometimes abundant, with immediate re-growth. Causes of transient hair loss include childbirth, miscarriage, abortion, heavy surgery, prolonged general anesthesia, high fever, emotional shock or stressful events, sometimes a discontinuation of oestro-progestative treatment can cause hair-loss. Long-lasting and diffuse falls may be due to depression or permanent stress, draconian diets, denutrition, anorexia, thyroid problems, diabetes, zinc deficiency, magnesium deficiency, calcium deficiency or iron deficiency. A durable and diffuse fall is a fall on the whole head and not localized in certain areas, 2 to 4 months after the appearance of the factor that triggered, totally or partially reversible with a refinement of the hair frequent. Some hairstyles like ponytail or bun or the extension port can cause hair loss. This phenomenon is often observed on frizzy or mixed hair. There are increasingly fine re-growths, small irritations and inflammation of the scalp and a gradual thinning of the hair. Trichotillomania is a pathology that consists of regularly tearing hair: this mania can testify to a psychic disorder. The symptoms are progressive hair loss and a thinning of the hair, most of the time localized on the top of the head. Androgenic alopecia can start at any age, from 14-15 years old. Some types of hair loss may be accompanied by other manifestations such as fatigue, oily hair, dry hair, dandruff or scabs, or itching. Why are we losing hair? Certain drug treatments, especially corticosteroids. Arthritis, gout or high blood pressure also increase the risk of hair loss. Can we prevent hair loss? Adopt a diet rich in iron, copper, silicon, fatty acids, zinc and vitamin B. What are the treatments against hair loss? 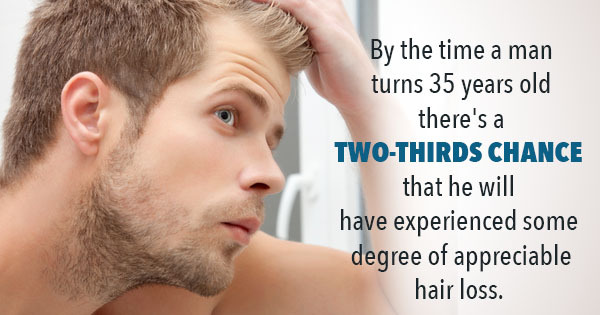 Hair loss treatments vary by cause. If it is related to childbirth, fatigue or seasonal change, supplementation with zinc and vitamin B is a solution. For alopecia areata, corticosteroids are usually prescribed. For the most severe or advanced cases, hair transplantation is possible. In particular by the method FUE or FUT. The FUE technique was mentioned for the first time in the article published by Drs. Rassman and Bernstein in 2002. This article described the details of the process, gave it a name, and presented the FOX test to define the characteristics of the donor area of ​​the patient. It is after the publication of this article that the hair transplant technique has spread all over the world. The FUE (Follicular Unit Extraction) method consists in taking the hair to be grafted by natural follicular unit. The surgeon uses an instrument that makes a tiny incision in the epidermis around the follicular unit, separating it from the surrounding tissues. Then, the follicular unit is removed from the scalp by a forceps leaving a tiny circular scar in its place. This is repeated until the surgeon has removed enough follicular units (micro-grafts) to restore the bald area. The entire process takes a few hours, but in the case of transplanting more hair, the procedure may continue for two or three days. The tiny scars (about 1mm in diameter) that form in the donor area will disappear after 7 to 10 days and will be replaced by tiny white dots camouflaged by the hair that grows at the back and sides of the skull. It is the method of extraction of the follicles one by one, which distinguishes the FUE method from the technique FUT (Follicular Unit Transplant or Follicular Unit Transplant) which consists of cutting into the scalp, a relatively long strip comprising a multitude of follicles. Through a stereomicroscope, this strip will then be broken up into smaller units before being transplanted. After having removed the grafts, the surgeon makes small incisions in the receiving area and thus marks out the exact location of the grafts. The follicular units are then implanted in the slots thus created where they will produce new healthy hair. The difference between the FUE and FUT methods is therefore the graft extraction method on the one hand and the appearance of the reimplanted hair. Due to the use of larger, square-shaped grafts, the FUT technique does not allow them to be placed in mosaic (more natural) form, so transplants do “baby hair” effect (many hair from the same point alternate with empty locations). Hair transplantation via the FUE technique: for whom and why is it recommended? Many people choose the FUE method because it is a less invasive technique than the FUT and does not seem to be a surgery in the true sense of the term. The difference is in the shape of the incision and the appearance of the graft. For the FUE process the donor area has a multitude of small circular incisions scattered in the donor area while for the FUT process, a larger, slender incision is formed in the middle of the donor area. Hair transplantation via the FUE technique does not leave a visible scar. The mini-scars disappear more quickly than the incision made for the FUT technique and, 7 to 10 days after the procedure, there are no more visible sequelae. The FUE technique is also recommended for professional sportsmen since the important physical activities can be resumed shortly after the hair transplant, it is ideal for the patients who, after the transplant, wish to have short hair. 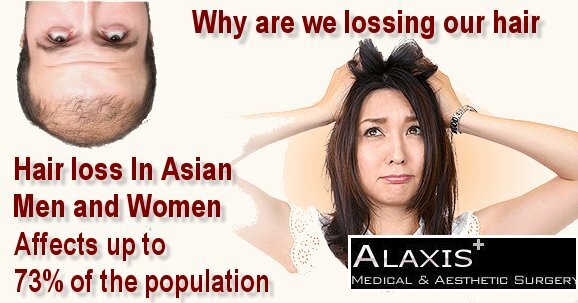 For more information about Alaxis Medical and Aesthetic Surgery, visit the official Facebook page, https://www.facebook.com/alaxismedical . You can also get more information via, www.alaxis.com.sg.